The Chatuchak Weekend Market in Bangkok, Thailand, is a shopping center so massive, it’s impossible to see it all in one visit. 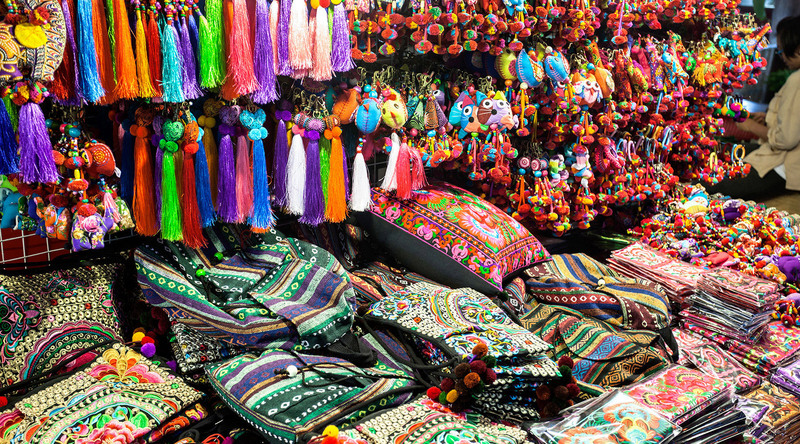 Chatuchak averages more than 200,000 visitors a day and features more than 15,000 stalls, which are separated into sections selling wares such as clothing, art, books, food, plants, music, live animals, and more. Have some fun and barter to your heart’s content. (If you’re uncomfortable with bartering, the rule of thumb is to start at half price and work your way up to an agreeable amount.) For a little shopping guidance, you can pick up a map at one of the entrances. Experience this bustling center of commerce for yourself on one of our voyages to Thailand.